California's lucrative nut business is increasingly a target of sophisticated crime rings, and losses from cargo heists and a spike in thefts have led the industry and law enforcement to call an emergency summit. "It's not like the movies, where they just pull up and take the truck full of pistachios at gunpoint and then drive off kind of thing," said Kern County Senior Deputy Sheriff Richard Hudson. "They actually steal the identity of a trucking company that is out of business, or they could do it creating an entirely false identity for a driver. There are many different methods that they use. They are very sophisticated when they do it." In recent weeks, pistachio and walnut processors were hit by cargo thefts in Tulare County, and the loads were valued at approximately $300,000 apiece. At least one truckload of about 40,000 pounds of pistachios was saved, however, when an alert employee at Setton Farms — the nation's second-largest pistachio processor — contacted authorities about a suspicious driver. 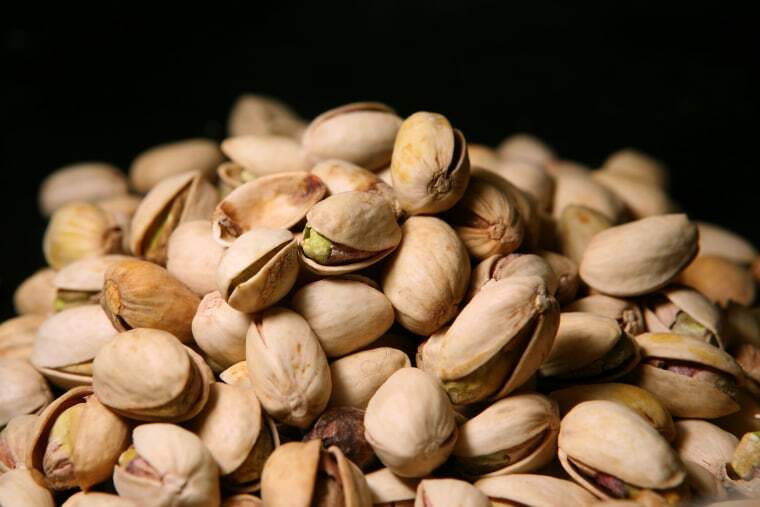 "Pistachios are just sort of a high target because they're pricier on the market," said Tulare County Assistant District Attorney Dan Underwood. In Stanislaus County, about 42,000 pounds of boxed walnuts were stolen on Oct. 23 from an unidentified local processor by a "fraudulent truck driver," according to the Stanislaus County Sheriff's Rural Crimes Task Force. The consumer-ready walnuts had an estimated street value of roughly $150,000. "We've had two pretty big nut thefts here in the last few weeks — and from what we're understanding ... it's an organized ring out of Los Angeles," said Roger Isom, president of the Western Agricultural Processors Association, a Fresno, California, based trade group representing the tree nut processing industry. "It can be upwards of $500,000 for each load, depending on what it is they are hauling." Set for Dec. 3, the Emergency Nut Theft Summit in Visalia, California, is sponsored by the processors trade group and will bring together insurers, nut processors, growers, shipping companies and law enforcement from at least three counties. "I've traced walnuts that were stolen in my county to L.A., and they were then transported to Detroit where they were being sold in bakeries and in a storefront," said Tehama County Sheriff's Detective Chad Parker, who is president of the California Rural Crime Prevention Task Force. In the case of the Tehama County theft near the town of Red Bluff, the walnuts were a half truckload and valued at roughly $85,000. A second load was taken in nearby Glenn County and worth another $85,000. Parker obtained a conviction on the thefts this year. In one prominent criminal technique, the thieves, posing as legitimate truck drivers, create fraudulent paperwork and pick up cargo loads of nuts. Experts say the criminals can find key information needed to dummy-up documents by going to publicly accessible Internet sites, including a U.S. Department of Transportation database. "Through the public database, you can look up a company record, you can get mailing addresses and DOT numbers," said Duane DeBruyne, a spokesman for the Federal Motor Carrier Safety Administration, an agency of the DOT. "There's a lot of public information that's available in which clever individuals would misrepresent as a broker or something when they arrange some kind of transaction." The industry is starting to fight the thefts by fingerprinting truckers who come in to pick up loads and sometimes photographing big rig drivers. Processors also are checking truck vehicle identification numbers and calling to verify information. And some are adopting high-tech solutions, such as radio-frequency identification tags to track cargo loads. Law enforcement officials believe organized criminal enterprises might be diverting some of the nut cargo to the export market. Tree nuts are a leading agricultural export for California, with commercial growers sending an estimated $8 billion of nuts to international destinations in 2014, according to figures from U.S. Trade Representative Michael Froman. Meanwhile, cargo theft by fraudulent pickup is becoming a bigger problem nationwide. Food and drink was the No. 1 product category for cargo theft in the third quarter of 2015, according to FreightWatch International, a logistics security firm that tracks cargo crime. Among the most stolen items in the food and drink category were meat and nuts. Also in November, authorities in Tulare County arrested four people in a dairy calf-rustling ring. "Cattle rustling is alive and well," said Parker. "This last year with the price of beef being as high as it is, we actually have seen a large number of cattle stolen across the state. Over the last two to three years, it's been high." Jeff Daniels is a coordinating producer for CNBC, based at the network's Los Angeles Bureau. He joined the network in 1999. Prior to joining CNBC, Daniels was entertainment editor of financial wire service Bridge News and business editor of The Hollywood Reporter. He was a news writer for Financial News Network, a predecessor to CNBC. Earlier in his career, he was a reporter and market columnist for Investor's Daily (since renamed Investor's Business Daily). Daniels holds a bachelor's degree in journalism from California State University-Northridge. He graduated from the University of La Verne in La Verne, California, with an MBA in finance.